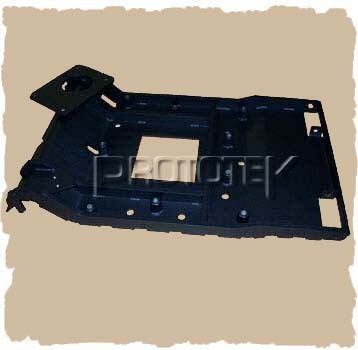 cnc, fabricated precision sheet metal, fabrication sheetmetal, precision sheet metal, precision sheet metal prototypes., precision sheetmetal, prototek, prototype sheet metal, quick turn sheet metal, sheet metal, sheet metal fabrication, sheet metal prototypes, sheet metal prototyping, short run sheet metal. Prototek is begining an outsourcing campaigne in addition to our capabilities in-house, looking for the most qualified of manufacturing companies over seas to provide high quality precision prototypes at an even lower cost to our customers! Prototek Sheet Metal Fabrication just acquired another TimeSaver grainer, laser cell for cutting sheet metal at faster rates than ever before, and a new Mazek Nexus CNC machine. Prototek is known for their rapid production rates of precision sheet metal and machined products, but now they are gearing their production techniques to a “sky’s the limit” type of mentality. 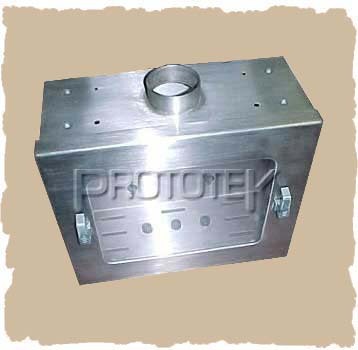 With Six Sigma in mind, Prototek is planning on improving their sheet metal and machining processes to near perfection. Six Sigma is a methodology which quantitatively puts each and every process under the microscope to describe statistically how an entire process is performing. By using a Six Sigma calculator, Prototek will be able to study each area to find potential mistakes. To achieve Six Sigma, a process must not produce more than 3.4 defects per million opportunities. A Six Sigma defect is defined as anything outside of customer specifications. The fundamental objective of the Six Sigma methodology is the implementation of a measurement-based strategy that focuses on process improvement and variation reduction through the application of Six Sigma improvement projects. At an average of under 100 opportunities for mistakes for each part, Prototek hopes to achieve near perfection in speed and quality of all sheet metal and machined prototypes and short run productions. Undergoing Six Sigma qualification is not a simple task, as every opportunity for a defect must be strenuously accounted for and plotted on a pareto diagram to find efficiency and quality enhancing routines to be implemented into every day processes. Each employee will have to understand what it means to achieve Six Sigma, as quality and efficiency has always been Prototek’s niche. 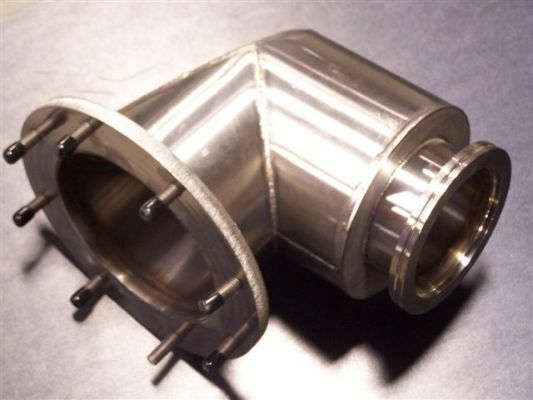 Adopting a daunting process like Six Sigma will help solidify Prototek’s commitment to on-time deliveries of high quality parts to the industries they serve, and prove to their customers that they will do what it takes to remain at the top of the precision prototyping industry. 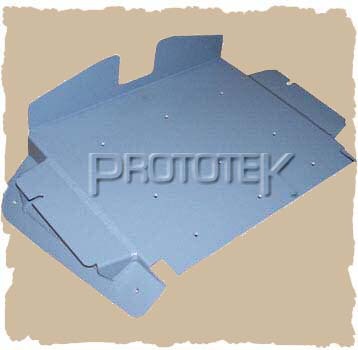 Prototek is known for their rapid production rates of precision sheet metal and machined products. They are also known for implementing an entire prototype shop under one roof, including painting, powder coating, assembly, welding, and hardware fastener departments, to name a few. But one of these departments just received a major tech boost. 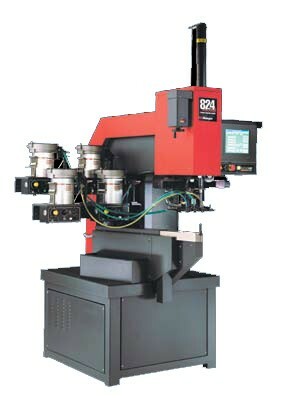 Enter the Haeger 840-WT-4E hardware fastener machine. This machine stands out from the rest in many ways, including its LCD touchscreen, where operators can save jobs and program all operations into one setup. This is accomplished with its built in four auto feed bowls, with a change over rate of 95% faster than previous models, allowing the changing out of one hardware type in 10 seconds, as opposed to three minutes. This new auto feed systems allows for a feed rate of 40 fasteners per minute. The 4E also comes equipped with tool storage in the side of the machine, and can store all necessary tools for a single job, swapping them out automatically as a part is processed. This machine takes all the time out of setting up jobs in the hardware department, and even allows operators to install hardware in small enclosed boxes like never before possible. Each part will be processed quickly and efficiently with the option of installing hardware in aluminum, steel, stainless steel or copper parts. 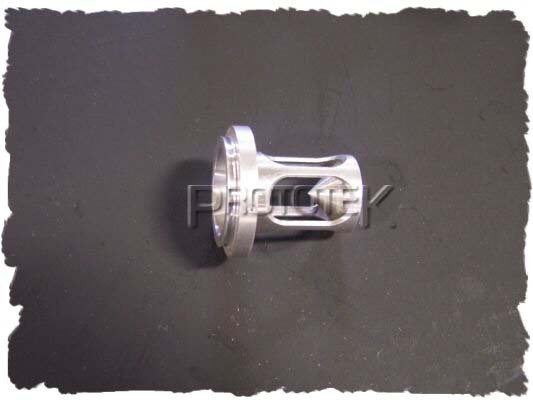 The machine will use the corresponding pressure based on material and fastener type. With organization, familiarity, and accuracy key in the pemserter department, Prototek is hoping to save their customers even more time on their just-in-time prototype parts. Prototek Sheet Metal Fabrication just acquired another TimeSaver grainer , laser cell for cutting sheet metal at faster rates than ever before, and a new Mazak Nexus CNC machine.